Building Confidence, Self-Esteem and Strength When It’s Needed Most. Preteen yoga gets kids moving, increases self-awareness, builds inner strength and teaches girls how to love and accept themselves as they are. Life as a pre-teen comes with its own unique set of challenges. New forms of stress, threats to positive self-image, unhealthy eating habits and bullying among other unfavorable factors begin to surface, which is why I created a preteen yoga series just for girls who are in their most formative stages. In just one class, my students learn how to tap into tools they didn’t know they had. I find that girls who discover the balance between strength and flexibility, energy and calmness, independence and compassion early on are able to independently care for themselves and make good decisions when others aren’t around to do it for them – especially when it comes to standing up against bullying. Yoga is a serious practice for some but for preteens it’s a place where they can come together in a fun, non-competitive environment where they can express themselves freely without peer pressure or judgment. All while building a sense of individualism through a strong mind/body connection. 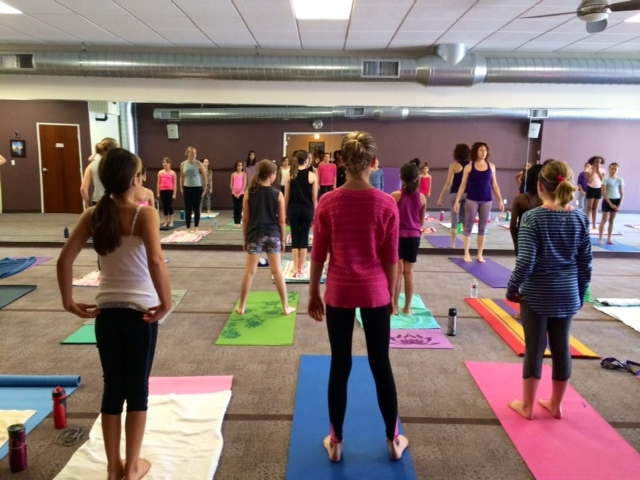 Something magical happens during a preteen yoga class the moment a young girl begins that healthy inner dialogue. Her yoga practice will not only provide her with the physical and mental benefits she needs now, it will serve her for life by giving her the foundation she needs to care for her body and self. Learning how to use the breath fully will increase a girl’s overall health and her athletic endurance. Yoga is a great supplement to gymnastics, horseback riding, soccer, dance and all other physical fitness activities. Breath control reduces injury, stress and anxiety allowing girls to excel in the activities they love. Young girls are extremely susceptible to negative influences that fuel body dysmorphia. Yoga increases image awareness so girls can come to appreciate their unique gifts and love themselves for who they are, not as pop culture says they should be. Young yogis recognize they have a strength they didn’t know existed before, empowering them to face negative stereotypes and overcome them. Movement, stretch and breath all work together to reduce anxiety. Yogic closed mouth breathing is a powerful tool used to calm the mind and the body leading to overall better consciousness and mindfulness. Yoga is a non-competitive activity that teaches girls to respect themselves and others. When kids learn the meaning of compassion they become gentler, kinder, considerate human beings. Yoga not only helps the individual, it makes the world a better place for all by teaching the leaders of tomorrow. Since most bullying comes from a place of insecurity and self-loathing, girls who practice yoga tend to experience it less and are more likely to stand up for others and lead by example. 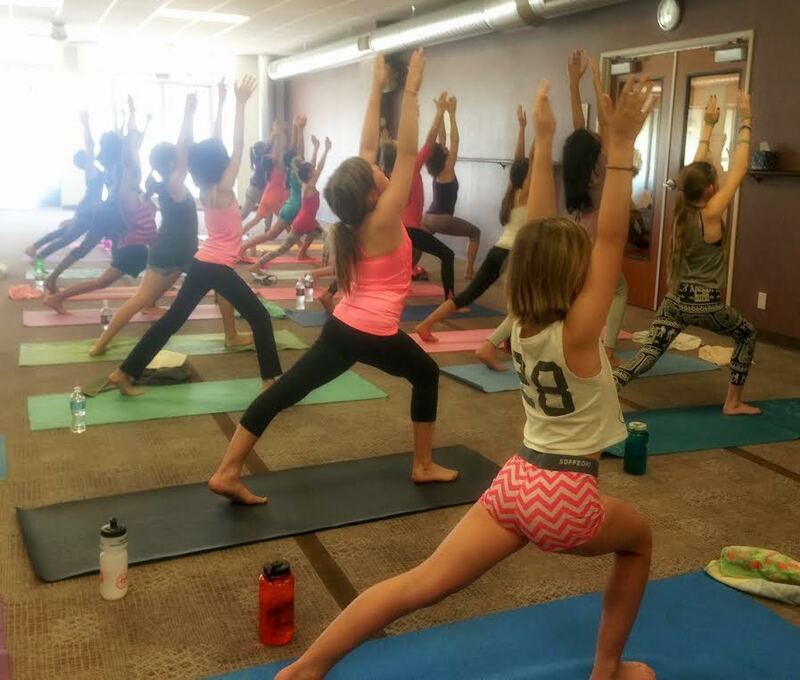 Preteen Yoga Classes Los Angeles – Sign Up For My Preteen Yoga Classes For Girls Today! If you’re in the Los Angeles area, please come and join us for a preteen yoga class. We welcome all girls from the ages of 9-16, no previous yoga experience required. There are many benefits that come from a steady yoga practice, but for preteen girls there are a few that really stand out. Starting your child early with a positive yoga experience will give her the tools she needs to become a well-balanced adult. 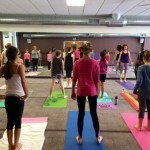 Preteen yoga is no different from an adult yoga class – except it’s a lot more fun! Just ask some of our students. You can expect the same yoga poses, sequences and breathing exercises; the only difference is they’re delivered in an exciting, inspiring, kid-friendly way, one that encourages self-expression yet is structured enough for girls to fully experience yoga’s many benefits. Like any yoga class, clothing should be comfortable. Gym tees, tanks, leggings and shorts are the best choices. Steer clear of dangly jewelry and cumbersome accessories. Yoga is best practiced in bare feet. The best yogi environment is a clean environment. Girls should come with a clean mat, towel, hands and feet. A yoga mat, gym towel and bottle of water are must-haves in the yoga studio. Mats, towels and yoga props are available to rent for those students who don’t own or have forgotten them. Yoga is best practiced on an empty stomach so a light snack or meal 2-3 hours before class is recommended. Preteen yoga is a personal passion project for me. Not only do I wish I had discovered yoga during my middle school years, I’m the mother of two young girls who shares the same concerns most parents do. For me personally, middle school was a very challenging time in my life. I was confused about who I was and where I belonged. I had a hard time navigating my endlessly shifting friendships, felt a lot of pressure from boys and was often emotionally bullied. I can still tell you to this very day just how bad it felt. As my daughters enter their preteen years, I know the best gift I can give them are the tools they need to develop a positive body image, self-esteem and confidence balanced with respect and compassion for others. My goal is to empower my daughters and young girls everywhere to make good decisions for themselves when no one is there to guide them. Through yoga I have discovered that when girls feel better about themselves they are more likely to keep an open line of communication with their parents who can help them transition through these difficult years. Now, after 17 years of experience as a certified yoga teacher it is my pleasure and great reward to help preteen girls prepare for the challenging years ahead.